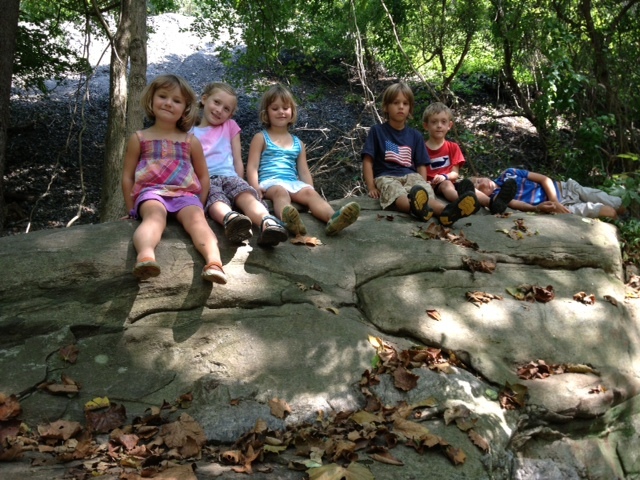 We were SO thrilled that some of our Cleveland friends came down to visit (J&W and the girls). 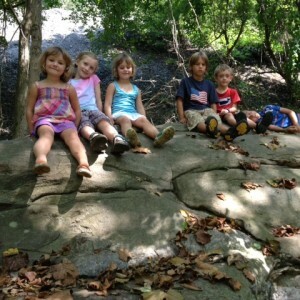 We met at J’s brother’s house and went for a great hike near the water with all of the kids. 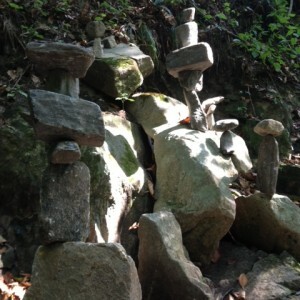 Beyond being able to reconnect with friends, one of the coolest things was that someone had built some cairns down the stream. They are incredibly difficult to make (as Matt found out when he attempted to ‘improve’ an existing one). At one point, there was a series of them together with the sun filtering through the trees on them. It looked like an exhibit at a museum. 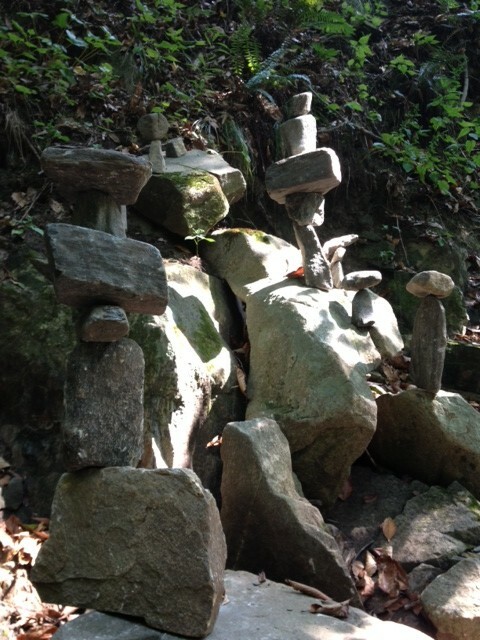 I loved the fact that someone took the time to create them – it almost looked like it was a form of active meditation. This entry was posted in Uncategorized on September 21, 2013 by Diane.